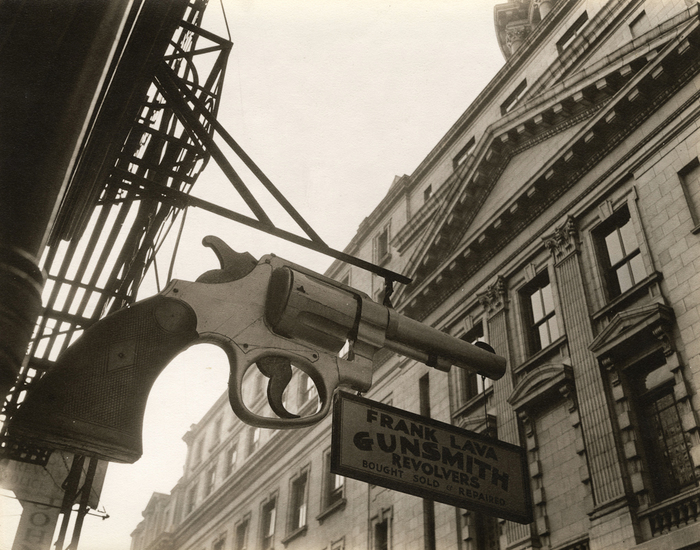 The sign reads "Frank Lava, Gunsmith, Revolvers, Bought, Sold & Repaired." This store was located at 6 Center Market place, across from police headquarters. The photographer Weegee lived next door at 5 Center Market place.